SpecTIR will provide Earth-based airborne hyperspectral imagery to complement NorthStar's own imaging capabilities. 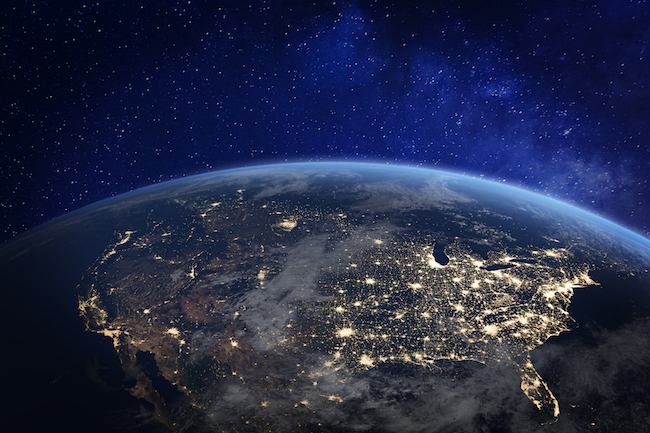 Montreal-based NorthStar Earth & Space Inc. has announced a strategic partnership with SpecTIR Hyperspectral & Remote Sensing Solutions of Reno, Nevada to deliver complete hyperspectral imaging services. SpecTIR’s airborne hyperspectral image services will complement space-based hyperspectral image services delivered by NorthStar, the world’s first global information platform to monitor Earth, its environment and near-space. The NorthStar platform is based on a constellation of 40 satellites with a suite of sophisticated sensors that will support a complete and precise information service for Space Situational Awareness (SSA) and Earth Information and Intelligence (EI2). NorthStar will fuse data from multiple sources and be the first space-based commercial system to offer hyperspectral imaging, which deduces the chemical and mineral composition of matter on Earth at an unprecedented level of richness and detail. Under the partnership, SpecTIR will provide Earth-based airborne hyperspectral imagery to complement NorthStar’s own hyperspectral capabilities. The NorthStar platform will enable advancements in environmental management including pollution detection, charting the health of the world’s oceans, rivers and freshwater sources, enhancing the productivity of agriculture, wildfire alerts, and pipeline oil and gas monitoring to prevent spills and contamination. Since 1993, SpecTIR has been delivering airborne hyperspectral solutions for government and commercial clients across the world, with a focus on geology and minerals, oil and gas, vegetation and environmental, and emergency response.